West Hollywood is a world unto itself where trends are set and the nightlife goes on all day long. The exciting environment of West Hollywood has many reliable vendors. Arctic Glacier has been doing our part to fuel the energy that runs through West Hollywood. We are proud to provide ice delivery services to all sorts of West Hollywood businesses and residents with the products they need. 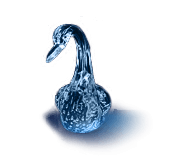 Arctic Glacier selects only the highest quality spring water. We have a precise filtration process that makes sure that our customers get only the highest quality ice. Making safe and reliable ice requires an attention to detail that Arctic Glacier takes pride in. 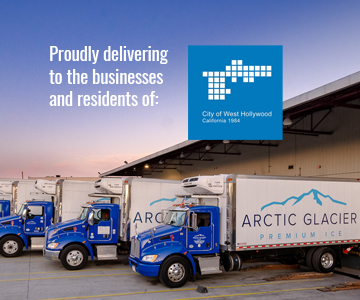 If there is a commercial organization that needs ice in West Hollywood, then Arctic Glacier can supply that ice. Our experts can put together a custom product list for your business and then develop a delivery schedule based on your use. We want to make sure that you get the exact kind of ice you need, and that you always have ice on hand when your business is operating. 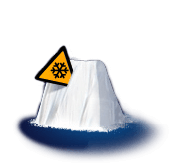 No matter what your ice delivery needs may be, it is safe to say that Arctic Glacier is there. We know how to calculate your needs based on usage and create a regular delivery schedule that will make sure you have ice. If you are expecting an increase in usage, then just give us a call and we will cover you. When a banquet hall runs out of ice halfway through an important function that is an emergency. We fix those kinds of problems. 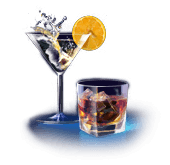 We offer the more reliable emergency ice delivery services in West Hollywood. If you run out of any type of ice for any reason, we will be there as fast as we can to save the day. If your hotel is hosting an exclusive wedding and you need ice sculptures, then give us a call. If the graduation party you are planning suddenly starts to look like it will be a large event, then we can help. We can be there to support the ice needs of your next event no matter what that event may be. Whether it is a backyard family reunion or a weekend carnival, Arctic Glacier can supply your ice needs. Arctic Glacier is able to keep up with the diverse ice needs of West Hollywood. Call one of our professional associates today to find out how we can make your next event a hit, or how we can help your business to run smoother.